EVER HAVE A DREAM ABOUT SOMETHING BEFORE IT HAPPENS? And I suspect that someone has told you this already. 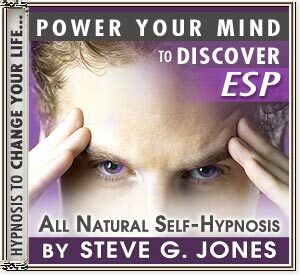 THIS SELF HYPNOSIS CD/MP3 WILL GIVE YOU THE ABILITY TO USE YOUR ESP ANYTIME, ANYWHERE!!!! !